This Saturday’s ride will meet at Starbucks and go south to Tiffany rd. in Arroyo Grande then head back in to SLO on Orcutt Rd. 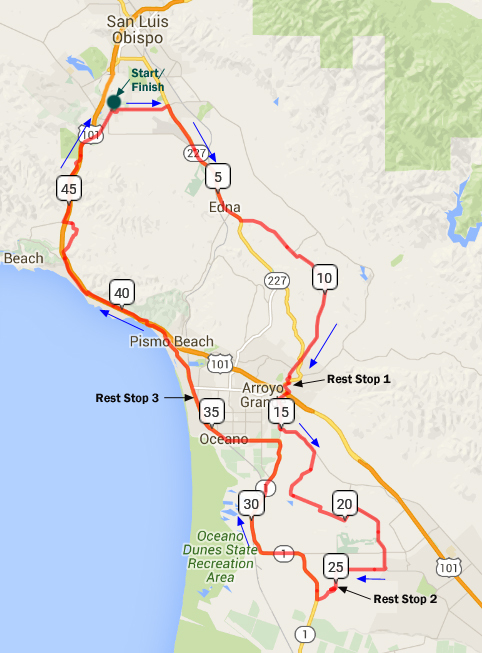 The route will continue thru the Poly Campus then pick-up hwy 1 to Morro Bay. 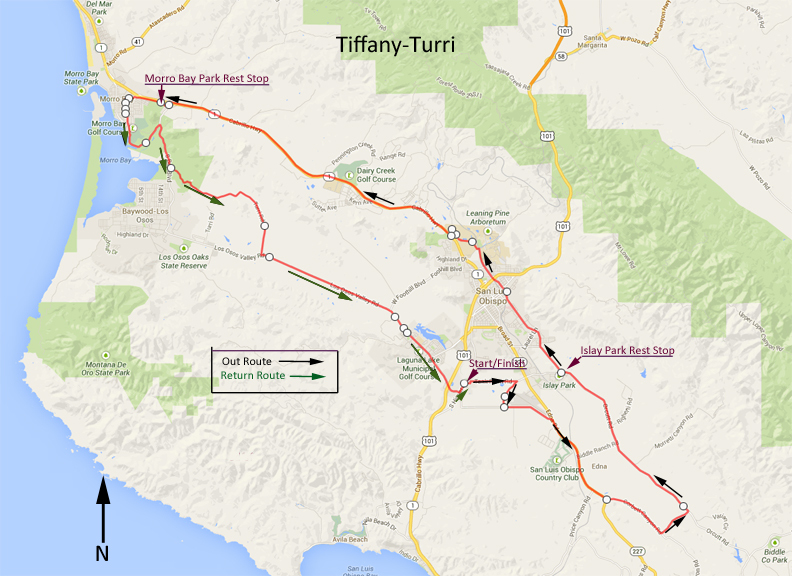 From Morro Bay it’s up and over Turri Rd and back to the start via Los Osos Valley Rd. every 15+ miles or so…. We won’t be stopping for Lunch or Coffee along the ride but there is a post ride lunch at Starbucks and adjoining restaurants. This Saturday the SLO Velo ride will depart from Starbucks and go out to Montana de Oro, Morro Bay then return thru Cuesta College to SLO. 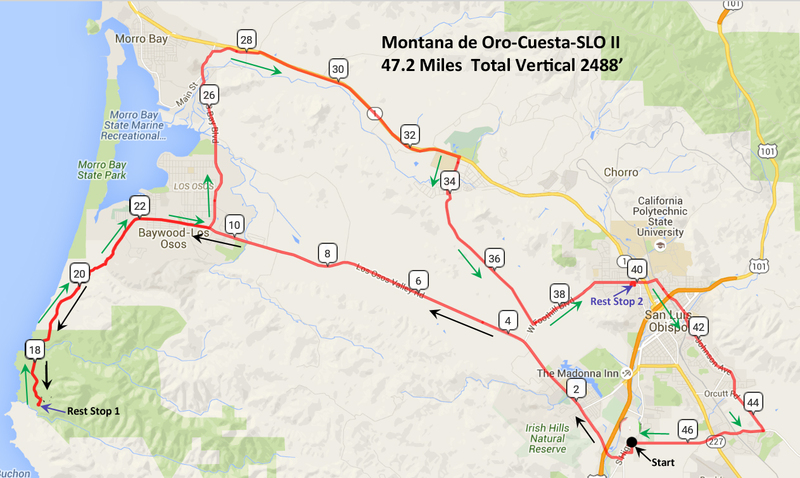 This Saturday the SLO Velo ride will depart from Starbucks and go North to Whale Rock Reservoir and back. Regroups and Restrooms every 15+ miles or so…. We won’t be stopping for Lunch or Coffee Shops along the route. This Saturday the SLO Velo ride will depart from Starbucks and go South to Arroyo Grande via Corbett Canyon then on to Nipomo returning on Hwy 1. We won’t be stopping for Lunch or Coffee Shops along the route. Post ride lunch at Starbucks and adjoining restaurants. 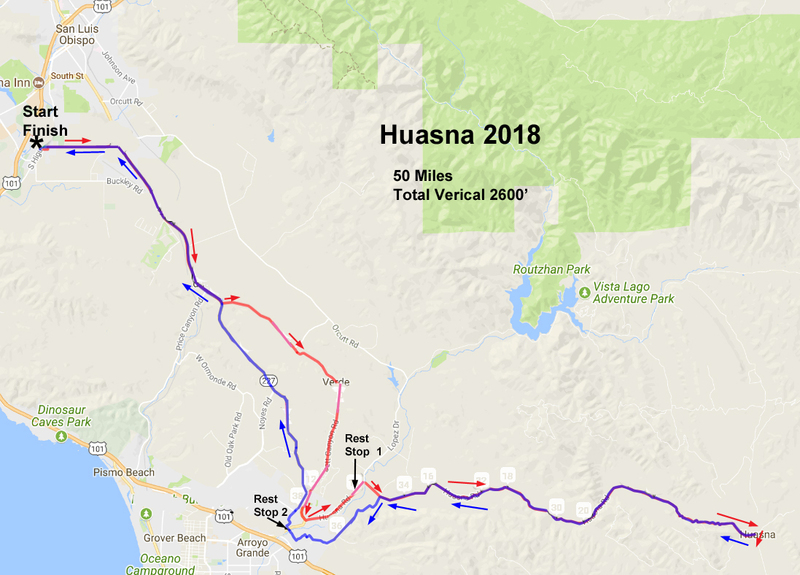 This Saturday’s ride will meet at Starbucks and head south to See Canyon Rd where it’s a climb to the end of the pavement then U-turn and continue south to Oceano and Arroyo Grande. 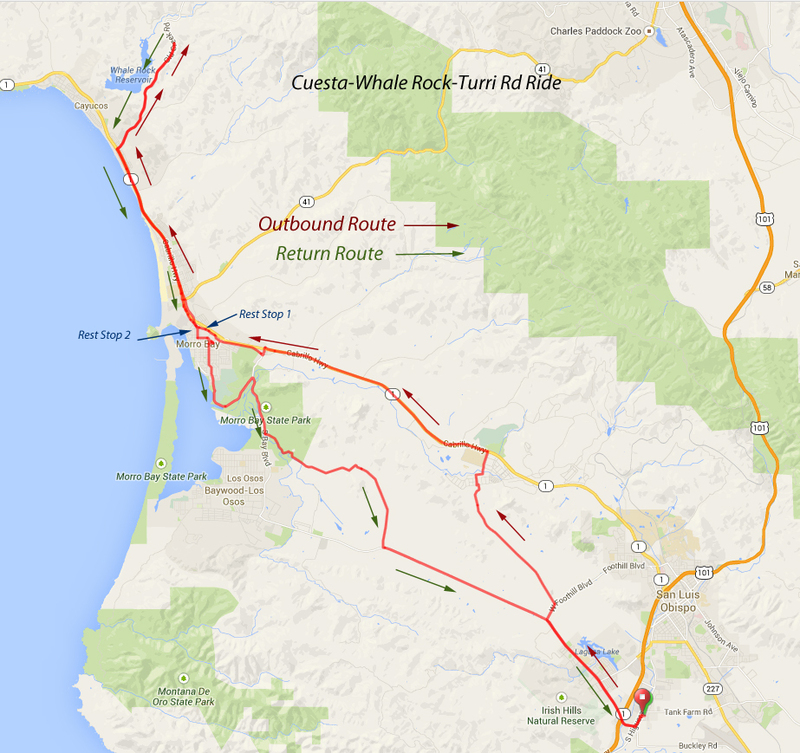 From Arroyo Grande the route will return to SLO via Corbett Canyon and highway 227.